Redskins Go “All In” On RG3!! The Washington Redskins pulled off one of the biggest trades in recent NFL history when they sent three first round and one second round pick to the St. Louis Rams for the second overall pick in this year’s draft. 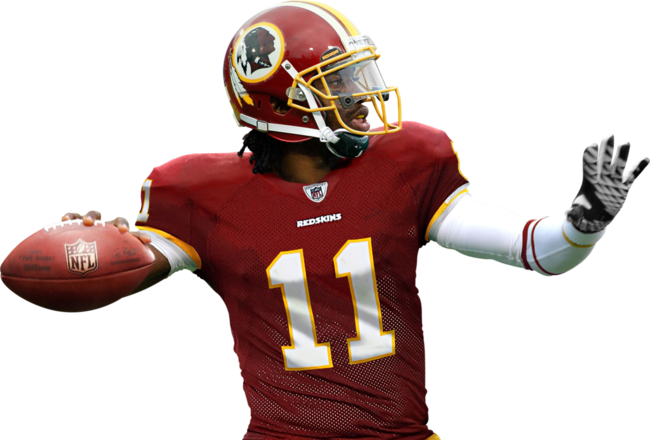 With the Indianapolis Colts taking Andrew Luck with the first pick, Washington will certainly take Robert Griffin III. Skins owner, Dan Snyder has moved all his chips into the middle of the table and bet the future of his team on the Heisman Trophy winner from Baylor. After being eliminated from the Peyton Manning Sweepstakes, the Redskins wasted no time in making this deal. But did they pay too much? The Skins won’t have a first round pick for the next three years, thereby making it nearly impossible to build the team with young talent. They are going to have to do it through free agency and trades. Unfortunately they don’t have a whole lot of talent to trade. So this means that free agency is their only hope to build a Super Bowl contender. Starting this year. While Robert Griffin III may be a franchise quarterback, he really doesn’t have anyone to throw to. It’s been widely speculated that Washington will go after Vincent Jackson, but so will a number of other teams. That is certainly going to drive the price up. After they get a wide receiver, Washington then needs to turn its attention to the offensive line and the secondary. Washington was $40 million under the spending cap until the NFL took away $36 million of that for front loading contracts in the uncapped 2010 season. They can spread that amount over the 2012 and 2013 seasons but that just means there is a lot less money Washington has to spend on free agents. And it also means that they have virtually no margin for error. Too many things need to fall into place to make the RG3 trade worth it. If one thing goes wrong, the Skins are going to be a bad team for a long time. But that’s what can happen when you take a big gamble. Peyton Manning: Taking His Talents To South Beach? It came as no surprise to anyone yesterday when the Indianapolis Colts parted ways with Peyton Manning. After 14 years, two Super Bowl appearances and one Championship, Manning will be playing for another team. No sooner did the tear soaked press conference end then the speculation as to where Manning will play next year began. Listening to the talking heads, it seems like EVERY SINGLE team in the NFL is in the Manning Sweepstakes. After careful consideration there really are only four teams that make some sense and only one that seems logical. New York Jets. After last season the Jets seem to be in a bit of disarray. While many fans would welcome Manning in place of Mark Sanchez, the Jets may be too much of a circus for Manning. Plus he would be in the same city as Eli. And no one thinks he could co-exist with head coach Rex Ryan. Arizona Cardinals. The Cardinals can offer Manning a superstar wide receiver in Larry Fitzgerald and they also play on turf which he is used to. Unfortunately, they don’t offer much more than that. Plus, the rumor is that Manning wants to stay in the AFC. All this leads us to the leader in the Manning Sweepstakes, the Miami Dolphins. Forget that Peyton already has a home in Miami; the Dolphins give him the best chance to win now. Miami came on strong in the second half of last season. They have a solid defense and a pair of great receivers in Brandon Marshall and Devone Bess. They also have a solid running back in Reggie Bush. The Dolphins could also go after Reggie Wayne and Pierre Garcon to make Manning feel a little more at home. And don’t forget, Miami has the 8th pick in this year’s draft. 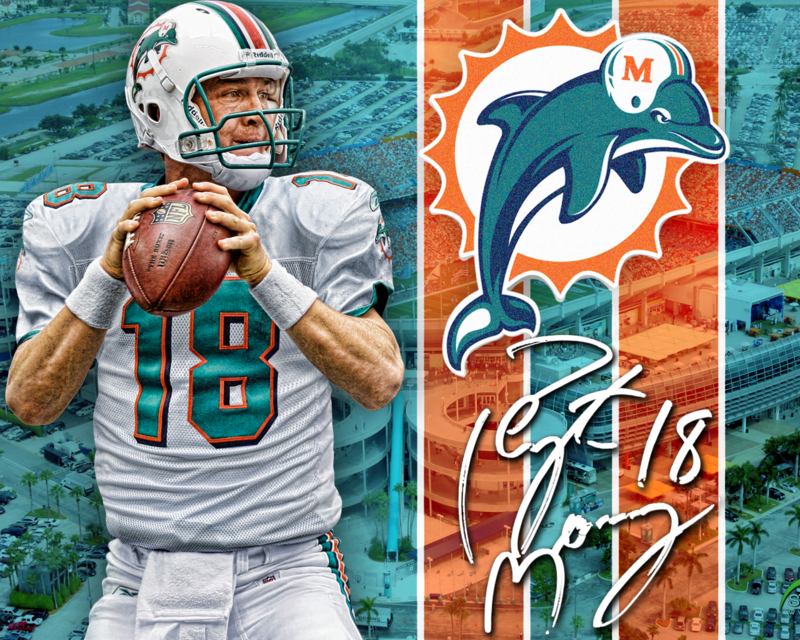 Everything is set for Peyton Manning to come to South Beach and when he does the Dolphins will immediately become a contender for the AFC Championship.